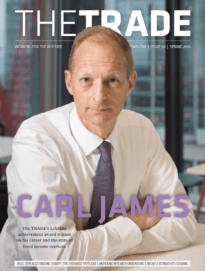 The TRADE > News > Still fighting yesterday’s battles? Pressure on the buy-side to cut costs and provide more visibility on how commissions are spent is greater than it's ever been. But meeting this challenge could be impossible without the proper unbundling of execution costs from research fees. Are investment managers still looking for greater cost transparency from brokers? Surely that particular nut has been cracked? It’s never been straightforward for a buy-side trading desk to isolate execution spend from the cost of research and other content-based services from brokers, nor to determine where commissions are best spent. Because trading commissions traditionally compensated brokers for the provision of unpriced research (on the basis that the trading fee is just reward for bringing the client a good investment idea), they were never originally conceived purely as an execution charge. 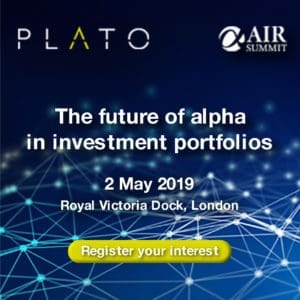 But for well over a decade the increasing importance of high-quality execution services to capturing the alpha contained in an investment idea has meant that buy-side firms have striven to pay only for what they value – even if that means cutting a cheque for research providers to sever the link between execution and research costs. Though embracing ‘unbundling’ publicly, in private some brokers that specialise in providing high-quality research to PMs would much prefer to continue to be paid via trading commissions, with execution and research services charged on a bundled basis. But this approach leaves the trading desk with little discretion on the counterparts used for execution. It also makes it pretty much impossible for investment managers to assign a value for the amount paid for research compared to execution. It is no surprise then, if brokers and institutional investors put cost transparency fairly close to the top of the agenda at quarterly review meetings. Why would the buy-side be particularly keen to discuss this issue now? Two reasons really: increased scrutiny of all financial services firms by their clients (pension funds and the like, in the case of asset managers); and lower trading volumes (caused by fewer attractive investment opportunities in an uncertain economic environment), which leave asset managers with smaller wallets to spend on broker services. Moreover, the economic downturn since 2008 has meant a large number of buy-side funds have dropped in value. This in turn puts pressure on revenues – which are typically based on percentage of funds under management – and subsequently, the buy-side’s cost base also needs to adjust. In 2012, asset managers want to know exactly what they are paying for so they can figure out where they can cut back. Pressure on the buy-side to be more transparent to its clients has come from many quarters. The UK’s Labour party claimed in a recent policy document that fund managers only disclose annual management charges accounting for barely a third of overall investment costs. “Some pension providers do not provide savers with full and clear information in a simple way,” read the policy paper. This view was also backed by the Kay Review, a UK-government sponsored report into short-termism in equity markets led by economist Professor John Kay. Buy-side trade body the Investment Management Association has updated guidance on how firms should report transaction costs to clients. Nonetheless, this is all evidence of a more demanding environment for institutional investors, with pressure from senior management and clients to provide answers on how money is spent. But hang on. Isn’t the separation of execution from research costs already considered good practice among the buy-side? It should be, but it isn’t. And frankly, it depends on how valuable a buy-side client is to their broker. Large buy-side firms routinely split research and execution through commission sharing arrangements (CSAs) with their leading execution brokers, which obliges them to redistribute commissions to the third-party research providers. This can be a relatively simple task for a large asset manager like Fidelity or Schroders – the latter of which has over 30 CSAs in place – but a smaller buy-side firm without the sufficient volume of order flow that the sell-side craves may struggle.